The Coventry and Warwickshire Local Enterprise Partnership (CWLEP) is searching for an energetic business leader to join its board of directors. The CWLEP, which was established in 2011, is led by a group of board members from the private, public and educational sectors in the area. The CWLEP is now seeking a non-executive director from the private sector and is encouraging applications from women and from across Coventry and Warwickshire’s diverse community. The voluntary position will involve contributing to strategic development in Coventry and Warwickshire with a focus on inward investment, economic growth and creating jobs as well as leading on one of the six business groups which support the CWLEP’s activities. 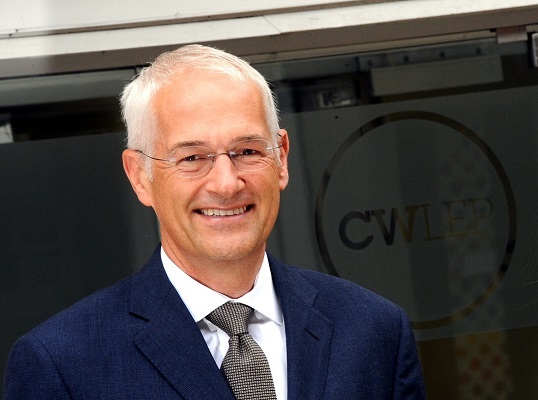 Jonathan Browning, chair of the CWLEP, said they wish to appoint a board director who is committed to further driving forward the CWLEP’s ambitious agenda. He said: “This opportunity will give the successful candidate the chance to champion our work locally and nationally by using their skills, experience and networks to boost our economic priorities and overcome any obstacles. “We are committed to fully reflecting the make up of our area and are particularly keen to increase the number of women on our board and add greater diversity to give a further breadth and depth to the perspectives that drive our work. “We are part-way through delivering a multitude of projects and schemes which will benefit Coventry and Warwickshire from the £340 million funding we have secured from government since we began in 2011. We have established a nationally recognised Growth Hub which is providing excellent support to help businesses in all sectors prosper and expand. “We have also performed well in attracting inward investment and in 2021 when Coventry is the UK City of Culture and in 2022 when Birmingham hosts the Commonwealth Games – including events in our area – there will be a whole host of business opportunities. “We are looking for a board director who has strong business acumen, significant experience in a private sector business which has strong roots in Coventry and Warwickshire, experience of public/private partnership working, excellent communication and leadership skills and has extensive business networks. The role, which is voluntary, will involve being available for a minimum of one day a month to attend up to six board meetings per year plus other activities.